What exactly is Rectify doing? It's obvious the shape is being tilted, but what is it for? Different shapes, tilt at different angles… Why? ...Rectify rotates the shape to be FLAT on the bottom. Both are necessary before you can use a deformer on a model, but where are these functions located, and when do you use them? 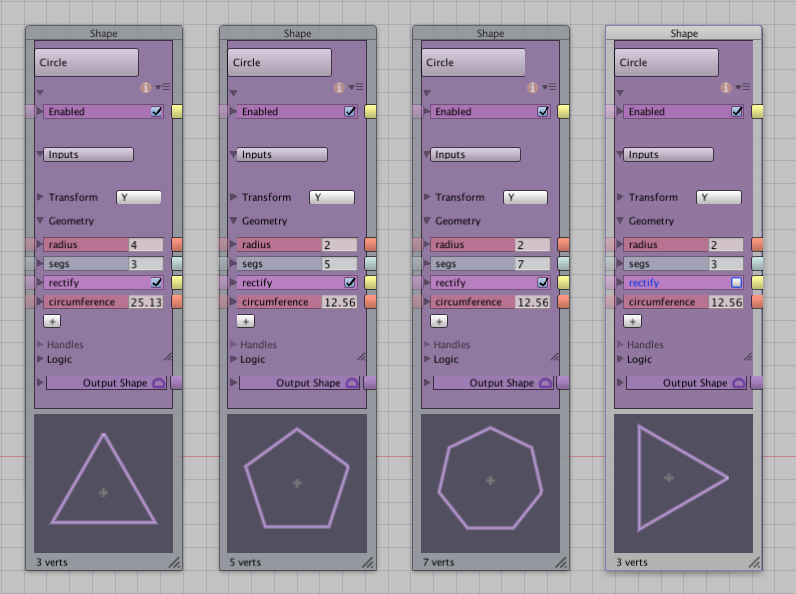 Subdivision adds extra vertices to 2D Plans and Sections. It's on the Output of every 2D Shape node, and the Input of the 3D Mesh nodes. Notice the number of vertices and triangles grows geometrically. On the Extrude node, Segs adds vertices to the extrusion height. On the Lathe node, Segs divides the mesh radially around its center. That little White Cross on the 2D Shape nodes…. 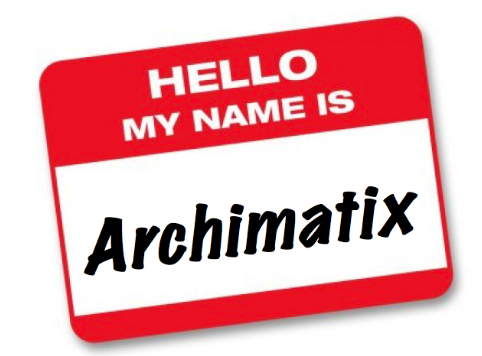 is the Center Point on the Archimatix model. The transform settings update the white cross's position on the Shape preview. The name of the handle is the name of the handle. The name of the runtime handle…. …becomes the name of the runtime handle. Relating parameters on the graph unlocks the power of procedural models. 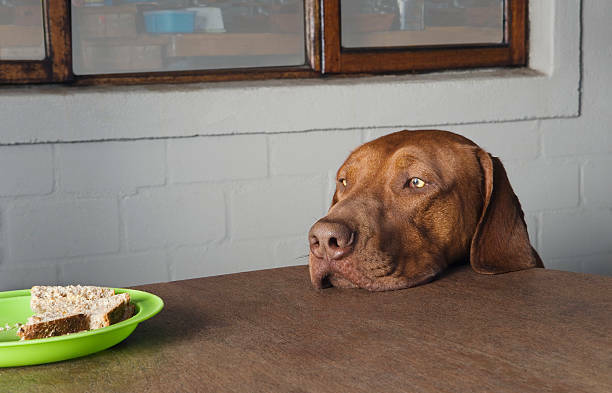 But how can you prevent the 2nd parameter from feeding back to the control...? Click on the connecting rope to open the Relation Expressions popup. Select the 2nd Expression, and hit the Delete Key to erase it. With the return Expression blank, hit Save. The parameter relation is now one-way. Both are copies, but one is not like the other…. An Instance is a kind of Repeater. It’s a Unity instance, so it is very efficient in the scene. Aside from Scale, Rotation, and Transform, all instances are the same. A Duplicate is a new node with the parameters copied to it. If the duplicated node is a 3D mesh, the sub-nodes are also duplicated into pre-connected 2D nodes. A Duplicate can be edited, and has independent parameters. 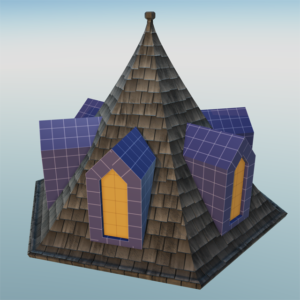 Use the 3D Library to merge Archimatix models. Multi-node Copy/Paste doesn't always work model-to-model, so it's not a reliable way to merge meshes from different Archimatix graphs. Save to Library and Save to Library Folder is the reliable way to transfer groups of inter-connected nodes. 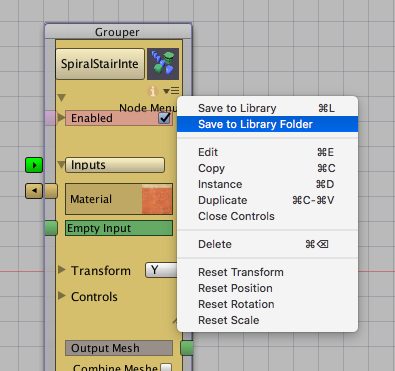 The difference is Save to Library Folder opens the Unity save file dialog window, while Save to Library is instantaneous – models can be called from the library, edited, and resaved with a keystroke. 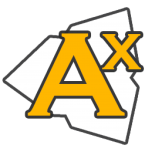 It's almost like Archimatix has internal prefabs, although they don't update across models. Instead the 3D Library follows the parametric idea of "duplication" where a duplicate set of the nodes is copied into the graph, ready to individualize. Use Save to Library and over-time you will build up a toolkit of frequently used node-combos, related structures, and decorative details – ready to add to any model in the project. Create a strategic arsenal of stock parts to make PlanRepeaters go faster – don't interrupt construction to remake generic bits like windows, columns, corbels, and doors. 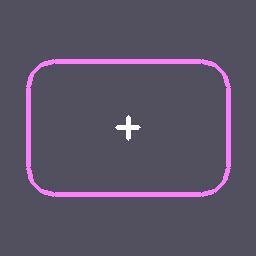 Stock shapes can be simplified, but still provide the root nodes for the final mesh to be edited or swapped later. This one is self-explanitory. Extremely large, and extremely small models should apply this setting. 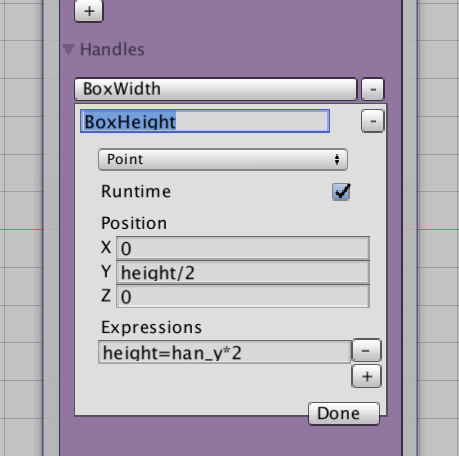 The default is Meter, the same as Unity's 1-unit. Precision Level is the first item in the Archimatix model's component, although it's easy to miss on the inspector. 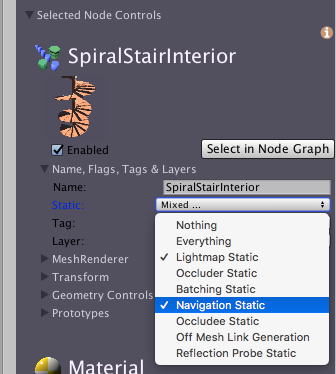 With a node selected in the graph, the Selected Node Controls panel shows on the inspector. 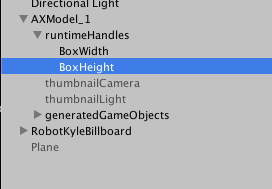 Change the name with an alias, and flag the generated gameobject for lightmap and navmesh baking. 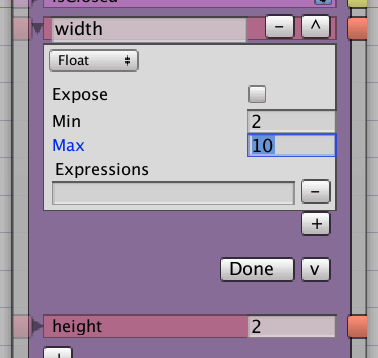 Add a tag for easier identification with scripts and trigger colliders, And select a render layer for visual fx. Swing open any parameter to set the minimum and maximum values. Min and Max will override all relations and expressions. A parameter can be "clamped" even when related parameters exceed it. To "lock" the parameter, set Min and Max to the same value.